It is made from fresh pineapple without any Preservative and food additives. 1.It's can be 10*10*10 dice. 2,It is made from fresh pineapple, which is high mature selected carefully and vacuum freeze dried without any preservative and food additives. 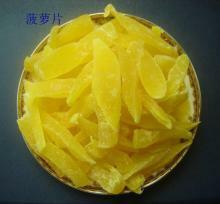 4.Flavor, It has typical flavor of pineapple, without other peculiar smell.